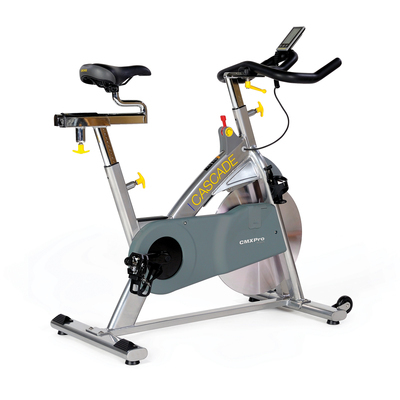 Exercise bikes have multiple categories, recumbent, upright, and indoor cycling bikes. Most people call indoor cycling spinning because that is what the first commercial class bikes were trademarked in 1994 by Madd Dog Athletics. Traditional upright and Spin bikes can be lumped together but are very different. Most health clubs have both types if they offer cycling classes and a cardiovascular room. Upright bikes have a seat that will adjust up and down, and a fixed height handle bar. Some traditional upright bikes have arm resting points to lean forward like outdoor racing handles. Spin bikes have seats that will adjust up and down as well as forward and back. The handle bars on spin bikes adjust up, down, forward and back also. A traditional upright bike uses magnetic resistance and has a small flywheel. This type of resistance is smooth and has minimal inertia so it is safer for older or child users. Spin bikes use a very large flywheel and a braking mechanism to create tension. The large flywheel creates a lot of inertia and can hurt a knee or hip if the break is not applied when stopping quickly. Spin bikes were originally designed for exercise class group cycling. Group cycling classes have an instructor on a bike in the front of the class yelling out commands. The well made steel frames and heavy flywheels allow people to stand and pedal to make the workout more challenging. Spin bikes have gained popularity in the home workout category as well. Customers of in home fitness equipment like the adaptability of the spin bikes. 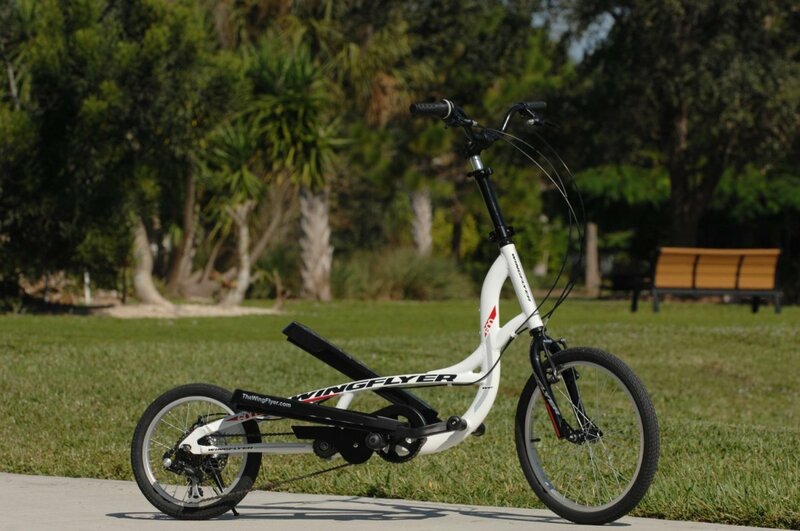 The spin bike can simulate the position of the users outdoor bike without tearing up the tires of their bike on a bike trainer. Traditional bikes are a large modality of cardiovascular exercise. Most have programing to change the tension up and down adjusting the workout. Programing allows the user to pay attention to a television or reading materials and still get a challenging workout. Heart rate control is a popular feature on traditional bikes. The tension will adjust to keep a user in a preset heart rate zone automatically. A new level of bike has hit the market that is built well enough to push and pull with your arms. The resistance and drive systems are strong enough to withstand the extra force standing on a bike creates without a large flywheel and inertia. They also have the adjust-ability of a spin bike. Having the workouts of a traditional bike, the adaptability of a spin bike, and the ability to push and pull with your arms the workout is a killer. Exercise in total comfort on the same bikes found in health clubs worldwide. Buy an upright or recumbent bike and enjoy your fitness workouts at home. This exercise bicycle have multiple categories in it. Like recumbent, upright, and indoor cycling bikes. Its price is not too much. Whether it's traditional or spin bike, if they both can help with the exercise, then they both can be useful. It's just a matter of choice, I guess. Thanks for weighing in Mickey Dee. I still think the LeMond is great, his new G-force is cool new stuff. They have some new bikes coming that give some side to side movement. It does not feel real natural yet but I am glad they are going that way. Still nothing beats the outdoors! I'm a little out of the loop for products right now. I have been in the cycling business for 40 years about. But I'm not current with much right now. I've used the Lemond in many spinning classes. I'm also a "spin class instructor". I do love the Lemond bike. Thanks! Lifecore makes a great bike for the money. True or LeMond are the top of the line. The Recumbent tend to be more comfortable but it is personal choice. Thanks for stoping by. Julie thanks for reading, good luck with your spin class. They are great workouts. This hub was quite timely. I am actually starting spin class next week. Thanks for the info.